There are several events that occur in life that are inevitable. One of those events is when a person dies, losing a loved one. Everyone who has been born will, at some point, pass on. Funerals have been around since the beginning of time to assist in this process and have taken different forms over the course of the ages. Funerals are defined generally as: the ceremonies honoring a dead person, typically involving burial or cremation. Funerals are also ceremonies for the final “goodbye” and demonstration of respect to those who have passed away. 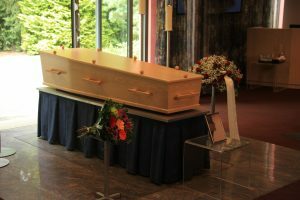 This includes the preparation and internment of the physical remains of that person, as well as all that a is involved with preparing for the details of the funeral itself. This subject is one that most people find difficult to discuss or to even think about. Arranging a funeral immediately after someone has passed is a stressful and sometimes overwhelming time for all concerned. To carry out and arrange all of the details that are required is a large undertaking given that people are at their most emotional and vulnerable state when a loved one is lost. There are also many details that are attended to at the time of planning a funeral. Knowing this, there are people who, in addition to having created their last will and testament prior to their departure, will also have prepared a document outlining what they want in terms of a funeral. Some people will even prearrange their own funeral and attend to all the details ahead of time to spare their family or loved ones a task of gigantic proportion at a time of grief and loss. Funerals can take many forms and today there are more choices available than there were in the past. There are also varying customs when it comes to funerals. North American funerals are the ones that we are the most familiar with and accustomed to seeing. There are several options one can choose from when it comes to funerals. There are different needs for specific situations and, because of this people have more options available to them in the 21st century. From traditional funerals and cemetery burials to cremation and spreading of the ashes, the funeral business has also evolved to be of assistance to execute the needs that exist in this regard. The funeral industry is one that will never cease to be a vital part of dealing with death. It will just evolve with the times. The final resting place is another decision that needs to be made. This can be a cemetery burial plot where the coffin is placed into the ground, usually in a vault. There are also mausoleums, buildings that utilize wall space where one can purchase a space to place a casket or urn. In the case of cremation, there are several different options.